In an almost unprecedented move cleaners at the Ministry of Justice, Kensington and Chelsea Town halls and 6 privately owned hospital departments and outpatient clinics run by Health Care America, will strike simultaneously for 3 days from 7-9 August demanding the London Living Wage of £10.20 per hour! That’s 3 days of stirke action at 3 companies and 11 sites! 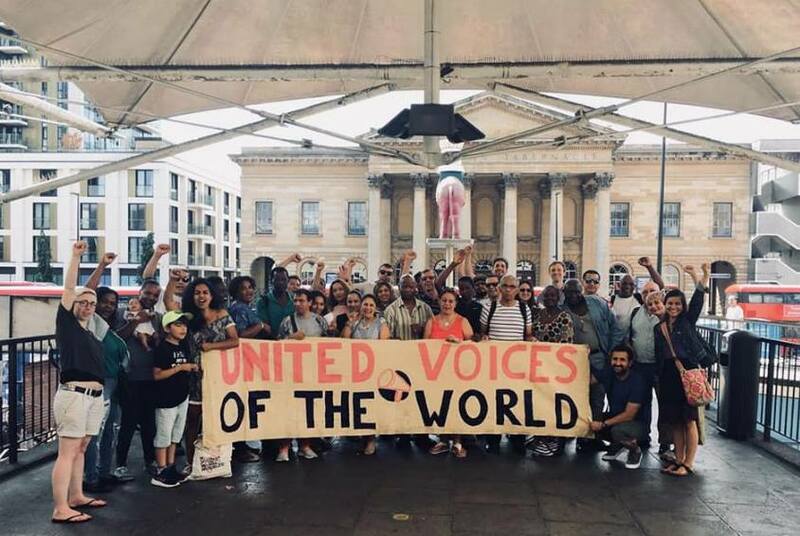 Please donate to their strike funds here if you can. Any amount will help! 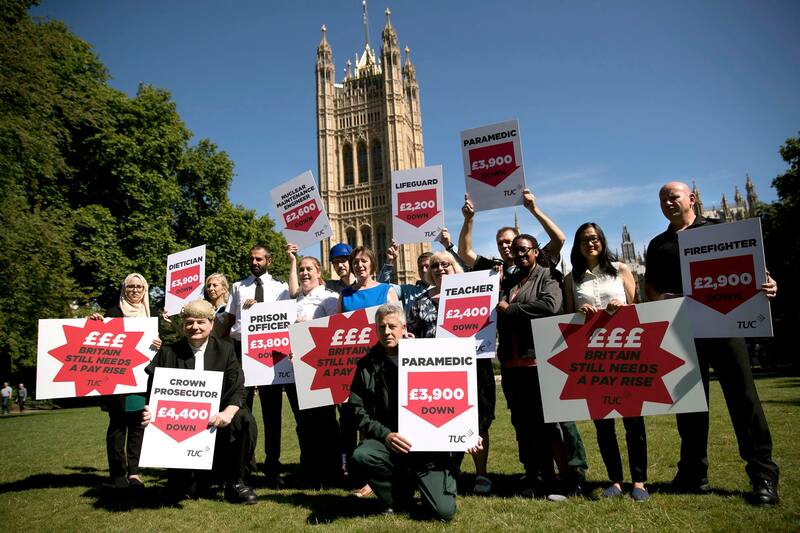 Join us in Westminster on 17 October, to tell our MPs that Britain’s dedicated public servants need a pay rise. For 7 years, government has restricted public sector pay rises to less than inflation – or nothing at all. 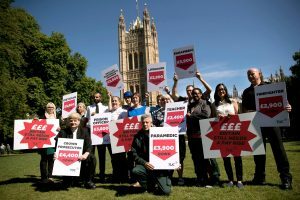 But prices haven’t stopped rising in that time, and inflation means nurses, firefighters, and other public servants’ wages are worth over £2,000 less than they were when the coalition government started in 2010. Pressure is growing on all sides for a change of course, and a fair pay rise for public servants. Union members will be travelling to Westminster to meet with their MPs on the afternoon of 17 October. And afterwards, we’ll be hosting a rally in Parliament Square, so MPs won’t be able to ignore our message. We’ll be posting more details here as they are confirmed, but save the afternoon now. What does deflation mean for working people? “Latest UK inflation figures have been greeted with an extraordinary amount of fuss. A 0.1% decline in the rate at which prices are increasing is not, by itself, especially newsworthy. But of course the symbolism of hitting a 2% rate matters. It means the Bank of England’s inflation target has, for the first time since late 2009, been achieved. “Leaving aside the politics around this arbitrary target, there are three things to note here. First, the cost of living crisis is not over. Prices are still rising much faster than wages and salaries. Inflation is 2%. Average earnings, however, have risen less than 1%. In other words, the real value of people’s wages and salaries is still falling. Most people are still becoming steadily worse off, as they have been for the last five years. The figures for December also miss out the sharp rises in household energy bills, which will feed into next month’s numbers. “Second, the fall in inflation has little to do directly with the government’s actions. The biggest reason for the decline in the overall rate of inflation was a fall in the rate of price increases for food and drink, down from 2.8% to 1.9% over the year. But Britain is a huge importer of food, buying some £20bn more from abroad than it sells to the rest of the world. The prices we see in the shops are to a large extent determined by what is happening internationally. And with the pound rising in value over the last few months, the price of importing food has declined. Alongside that, after years of sharp increases, the prices of basic food commodities like wheat and sugar have fallen globally over the last year.